The third-annual Chocolate Walk was held on Saturday with 26 downtown businesses taking part in the festivities. At Creative Court House, Simple Grace Boutique was on hand to sell a handful of clothing items throughout the afternoon. 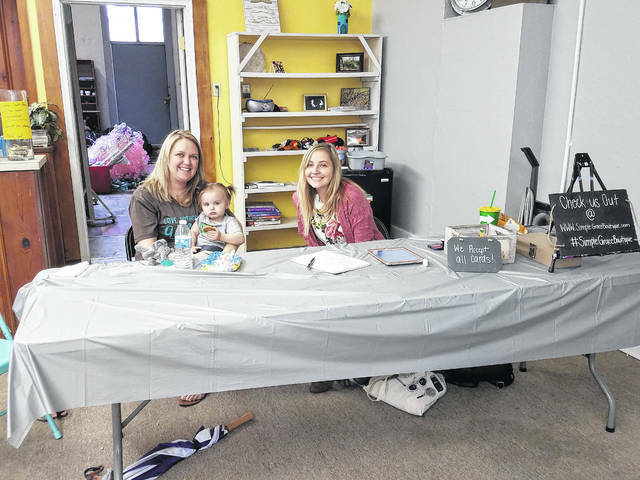 https://www.recordherald.com/wp-content/uploads/sites/27/2018/04/web1_CreativeCourtHouseBoutique.jpgThe third-annual Chocolate Walk was held on Saturday with 26 downtown businesses taking part in the festivities. At Creative Court House, Simple Grace Boutique was on hand to sell a handful of clothing items throughout the afternoon.